If I wear a red poppy, it is not to glorify war, for war can never be glorious. 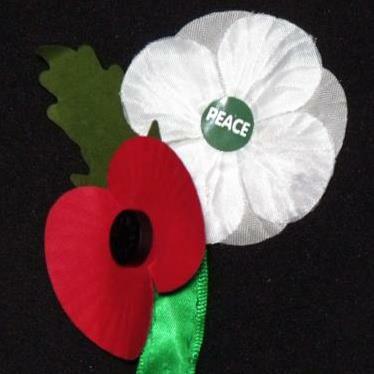 If I wear a white poppy, it is not to disrespect those who have fought for peace. If I wear neither poppy, it is not as an act of protest against those who do. The red poppy remembers the sacrifices made by so many, for so long. The white poppy symbolises the hope that, one day, such sacrifices will cease. In my mind, there is no conflict. Nor was there one in the minds of those who truly believed in a war to end all wars. Wear one, wear two, wear none. Their meaning is as one.